It's the middle of the month and time to remind you about the ORANGE challenge going on at our Challenge blog! There is still lots of time for you to enter any project you've created using orange! 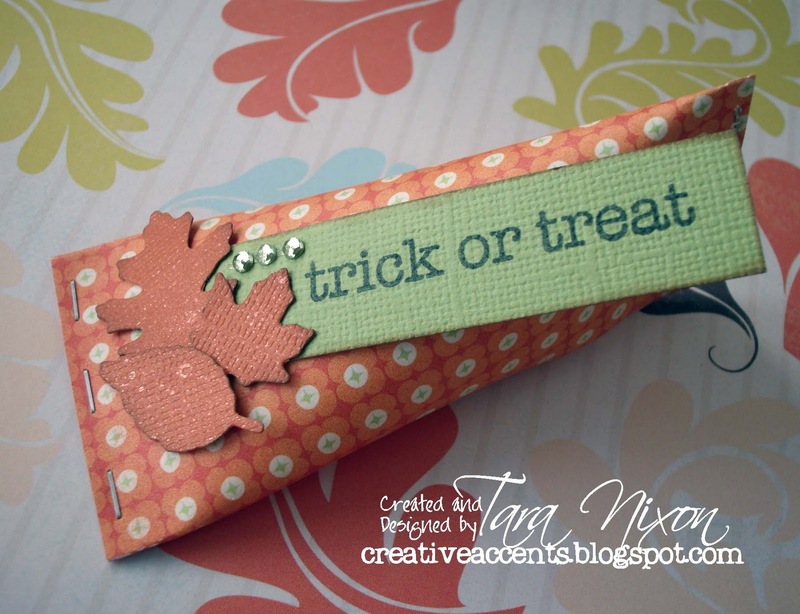 I have to confess, I completely forgot it was reminder time already until just a couple days ago, so I have some simple projects to share today- sticking with what seems to be the theme of the week, treat bags! 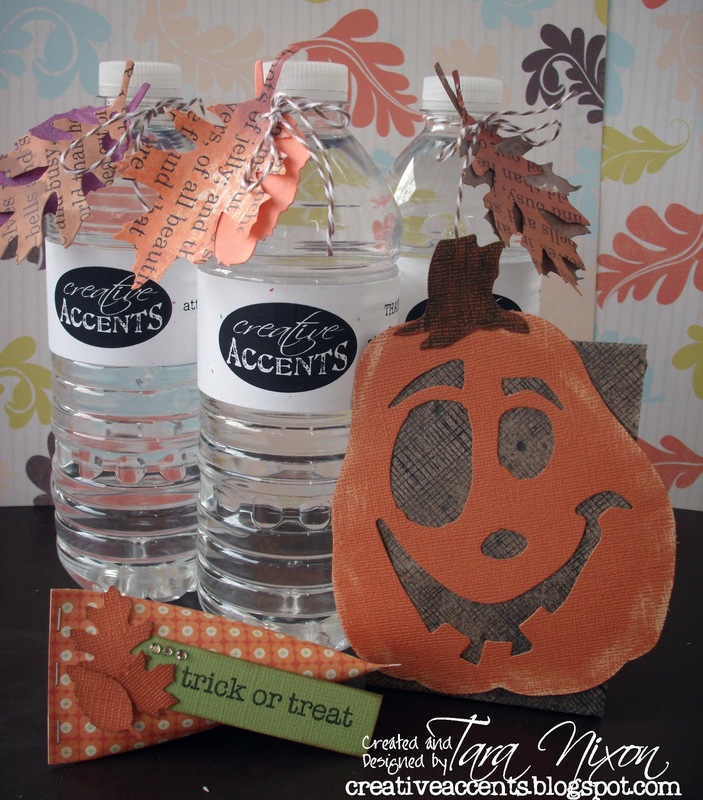 First, I played with the new pumpkin & face dies by Tim Holtz! Isn't it great? I love that you can arrange the face parts wherever you like or leave them out and cut them from another paper... so many options with Movers & Shapers! I stamped the front of a tiny brown paper bag with a Hero Arts Background stamp, then misted it with Maya Mist so there is a slight shimmer to it. I then adhered my pumpkin to the bag and that's about all there is to it! Next is what has been called a 'sour creme container' for some reason... I don't know why, but they're cute and easy and fun to make! 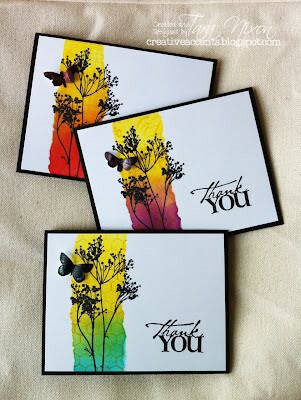 I used a 4x4 piece of patterned paper from MME, glued along one edge to form a tube and then squished one end shut. 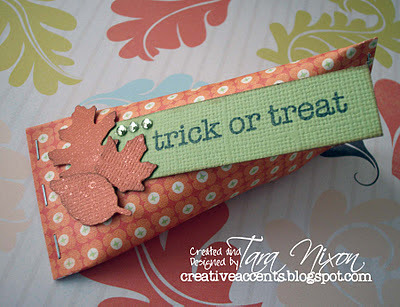 I both glued and stapled it just to make sure my candy was safe (plus I love those tiny attacher staples by Tim Holtz!) I filled it with candies and then squished the other end at the opposite angle and sealed it shut. I embellished the treat container quickly with a stamped Hero Arts sentiment, a bit of bling and a few leaves (TH border strip- love them!) which had been sprayed with Perfect Pearl Mist. Both of these would be quick & easy projects to mass produce for parties! Our Autumn Masquerade Crop was this weekend, and I added some inked up leaves (TH dies and new Distress Stains colours) around the bottles as a small decoration for the crop and decided to include them in the picture posted on the challenge blog. Hope you like my simple, ORANGE projects! 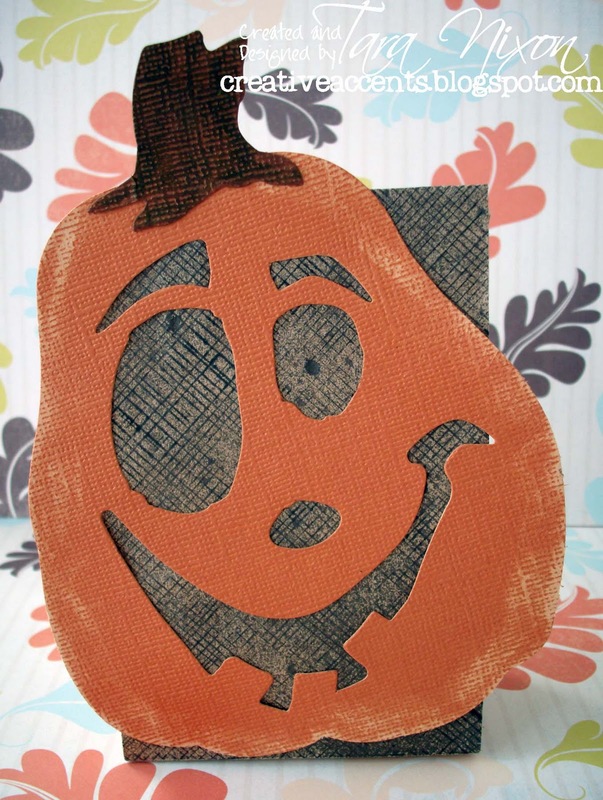 Head on over to our Seriously Creative Challenge Blog and show us your ORANGE this month!